Although granola is often considered a health food, it’s generally loaded with added sugar and unhealthy fat. But not this homemade granola cereal recipe! This paleo granola is packed with nuts, “superfood” seeds, and coconut oil for a healthy way to enjoy a snack or breakfast. You’ll love the nutty, chocolaty, slightly coconuty flavor with a hint of natural sweetness. I’ve added extra protein to this granola so you’ll get the essential amino acids your body needs to make energy and develop lean muscle mass. Protein also keeps you satiated after eating, so it’s perfect for including in your morning meal. Who wants to feel hungry shortly after eating (which is how you’ll feel after downing a bowl of high sugar cereal)? There are no grains in this paleo granola, only protein-packed nuts and hemp seeds. Both offer not only extra protein, but heart-healthy fatty acids too. The almonds are loaded with Vitamin E for healthy skin and eyes. Don’t be intimidated by the hemp seeds in this recipe – they’re full of great health benefits. Rich in antioxidants to stimulate your immune system, high in dietary fiber, and loaded with healthy fatty acids, hemp seeds contain gamma linoleic acid, a unique fatty acid that reduces inflammation and lowers blood pressure. This recipe also uses coconut oil, which lowers bad cholesterol and boosts your metabolism. 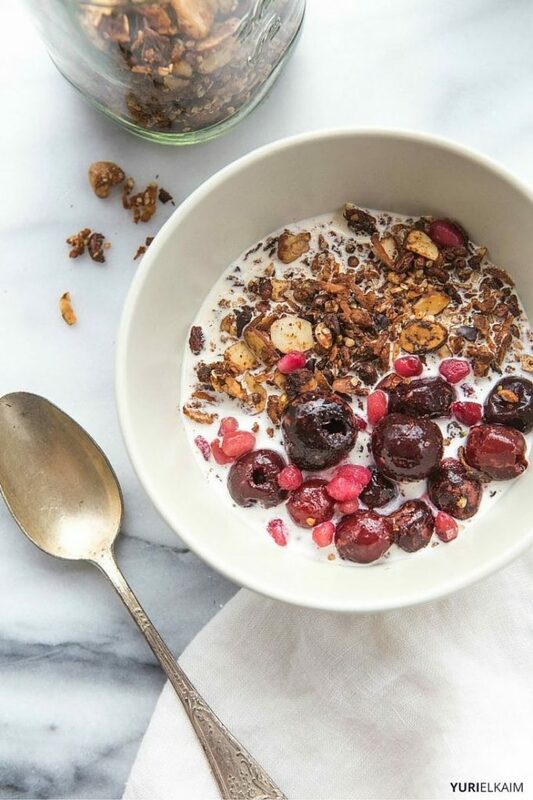 This paleo granola cereal recipe is packed with nuts, “superfood” seeds, protein powder, and coconut oil for a healthy way to enjoy a snack or breakfast. 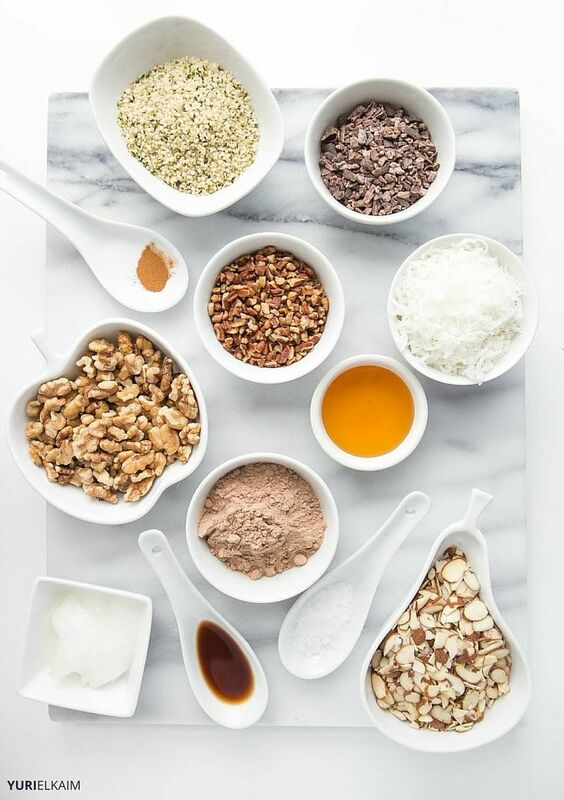 In a large bowl, mix together walnuts, pecans, almonds, hemp seeds, shredded coconut, and protein powder. In a small pot over medium heat, stir together cinnamon, vanilla, honey, and coconut oil until melted. 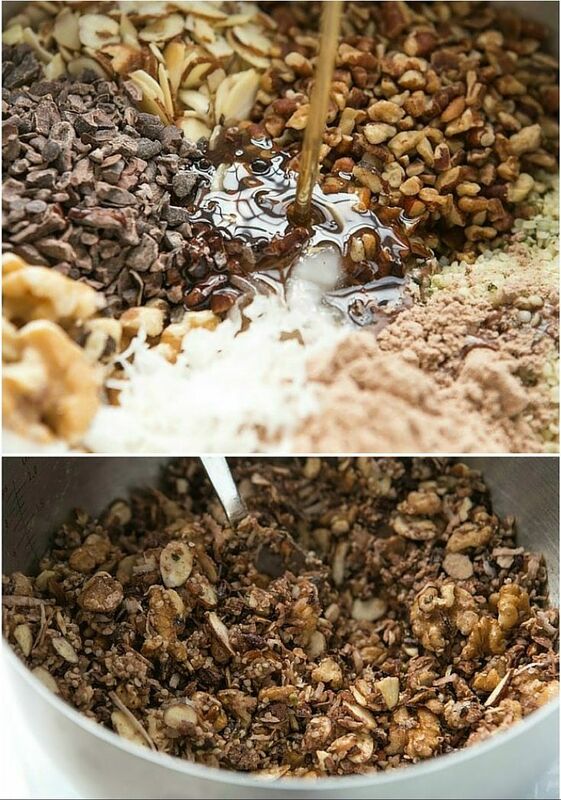 Drizzle over nut mixture, tossing nuts well to mix. Spread mixture onto a large, parchment lined baking sheet. Bake at 350 degrees for 35 minutes, stirring every 10-15 minutes, until the mixture becomes light golden brown. Remove, toss in cacao nibs and let mixture cool before enjoying. To store, keep in an airtight container in a cool, dry place. Enjoy within 3 weeks. 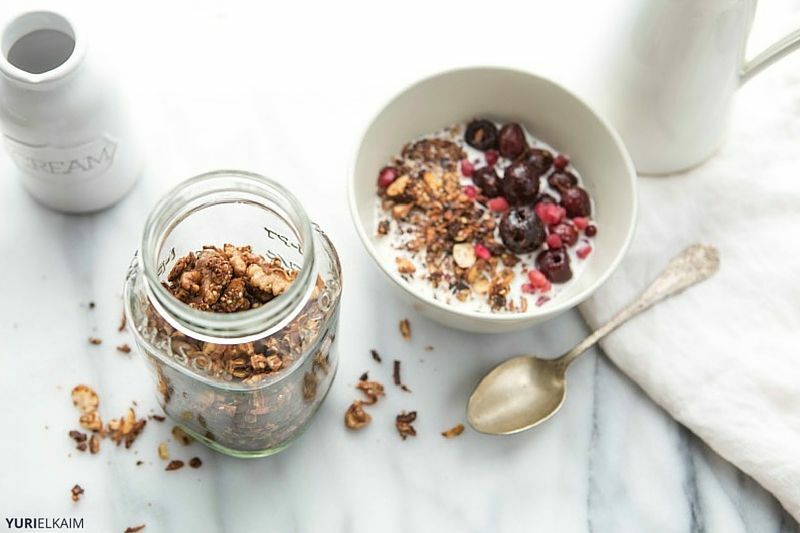 If you like this paleo-friendly homemade granola cereal recipe, you’ll love the 67 delicious, allergen-free meals in The All-Day Energy Diet Community Cookbook. Bonus: they take less than 15 minutes to make! Get them for FREE now by clicking on the banner below.